NO TO VIOLENCE. NO TO BIGOTRY. NO TO RACISM. NO SEXISM. Boycott Hate is a campaign created by photographer David Quintanilla inspired by Arizona’s controversial immigration law. 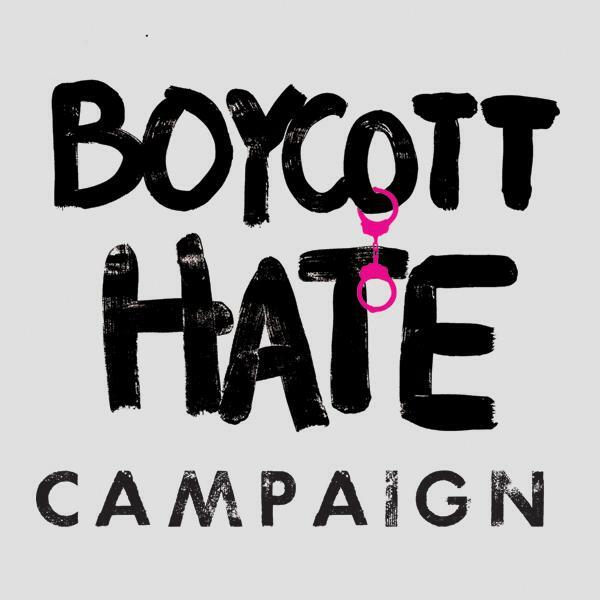 The Boycott Hate campaign represents a fight against any and all discrimination in America. With the new law passed in Arizona, law enforcement has the authority to request documentation of legal status based on their discretion. This new law opens the door to discrimination to the thousands of Mexican Americans living in the Unites States based on the color of their skin. America is moving forward and we want to put a stop to all discrimination and celebrate the foundation of diversity which the United States is built on. We invite you all to drop by Haus of Photography, David Quintanilla’s studio to get your FREE Boycott Hate Photograph. All you have to do is promise to post it somewhere to show America we will not tolerate discrimination.